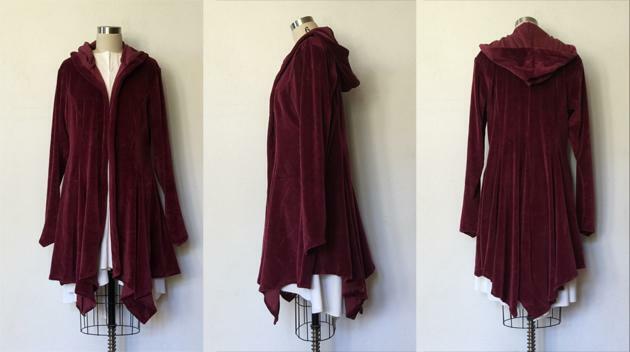 This wine colored Sweater Jacket is 100% cotton velour. The sleeves, like all those on my Sweater Jackets, are extra long and made to scrunch. I encourage everyone to come to Oddmall and try it on before you buy! Like everything else on my website, shipping and tax are added at checkout. For current shipping fees see my page.